Singer/Songwriter Aria Elan dropped debut album ""Smile"" November 1, 2013. Aria has entertained Veterans and active duty troops at various military bases. On July 7, 2015 Aria released her latest single ""Free Mama Earth"" featuring Grammy award winner Mamadou Diabate. Aria is donating 100% of download and streaming sales from ""Free Mama Earth"" to Environmental Defense Fund and Nuclear Age Peace Foundation. 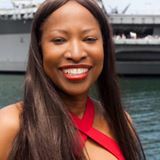 She has spoken and performed for the US Navy, U.S. Air Force, women's conferences, Veteran's Organizations, colleges, and has received certificates of appreciation from the California Youth Authority, College of Charleston, County of Maui, NAACP, Ventura Self Help Clinic, and numerous others. As a motivational speaker, Aria Elan presents humorous, poignant and memorable stories about Aria's ABCs of SUCCESS that resonate with people. Aria performs her ""ode to positive thinking"" song ""Smile"" at all speaking engagements. Free Mama Earth's melodic, soulful vocals featuring Aria Elan on lead and Grammy Award winner Mamadou Diabate on kora is a call to action to help save our environment thru music. * Your song 'Free Mama Earth' has just been added to MUSIC IS TRUTH station! * Your song 'Free Mama Earth' has just been added to Wide Angle station! * Your song 'Smile' has just been added to really really good station! * Your song 'Smile' has just been added to Hood Tales station! Aria Elan's latest single ""Free Mama Earth"" featuring Grammy Award winner Mamadou Diabate, dropped July 7, 2015. Aria is donating 100% of download and streaming sales from ""Free Mama Earth"" to Environmental Defense Fund and Nuclear Age Peace Foundation.